I have been a patient of Dr. Young’s for over 18 years. Dr. Young has such a relaxed attitude that makes me feel at ease and at home. She truly understand me and my needs. Dr. Young Is Very Knowledgeable And Very Professional. I’ve been a patient for over 20 years and I truly enjoy coming here because the staff is good at what they do. Dr. Young is very knowledgeable and very professional. Dr. Young seems to connect with her patients and personal relationship with their needs. This is the case with her staff also. I’m an artist and my eyes are very important to me. Dr. Young knows that and she treats my case just as important. I’ve been a patient of Capital Eye Consultants from the beginning more than a decade ago. For most of my adult life, I’ve been the subject of a number glaucoma-related tests and treatment in various parts of the country, so I probably have a little more patient-experience than most and, without a doubt, Dr. Young and Dr. Appiah are among the best specialists I’ve run across. I trust their ability and their judgement explicitly and I appreciate and value their counsel. Your satisfaction with the care we provide is our top priority. We hope you are as happy with the service you have received from Capital Eye Consultants as much as we love having you as a patient. If you would like to tell others about your positive experience, 5-star reviews on Google are very much appreciated. 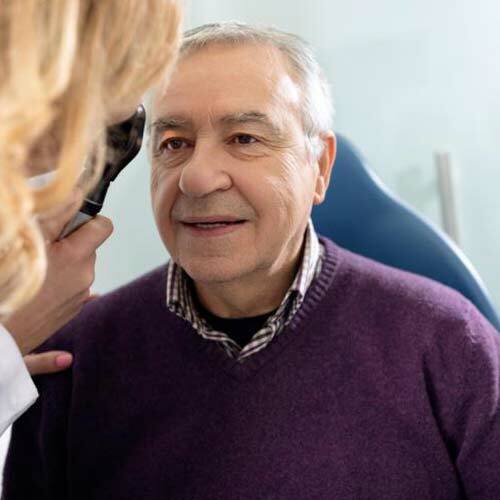 The chronic nature of many eye diseases may result in a need for recurring patient visits. This gives us an opportunity to establish long-term relationships with our patients. In these situations, we aim to form a bond of trust with you. As a result, this bond enables us to maintain a family friendly atmosphere where each patient is meticulously cared for according to their unique situation. We seek to provide the highest levels of satisfaction. We will always spend the appropriate time with you to ensure you have a complete understanding of what is happening with your eyes.